Thursday August 30, 2018 - A vocal Orange Democratic Movement (ODM) Governor reportedly hired criminals to burn his offices so that he can escape his arrest over the loss of Sh 5 billion. Last week, burglars gained entry into the guarded Government offices in Homa Bay and stole computers and other valuables of unknown value. 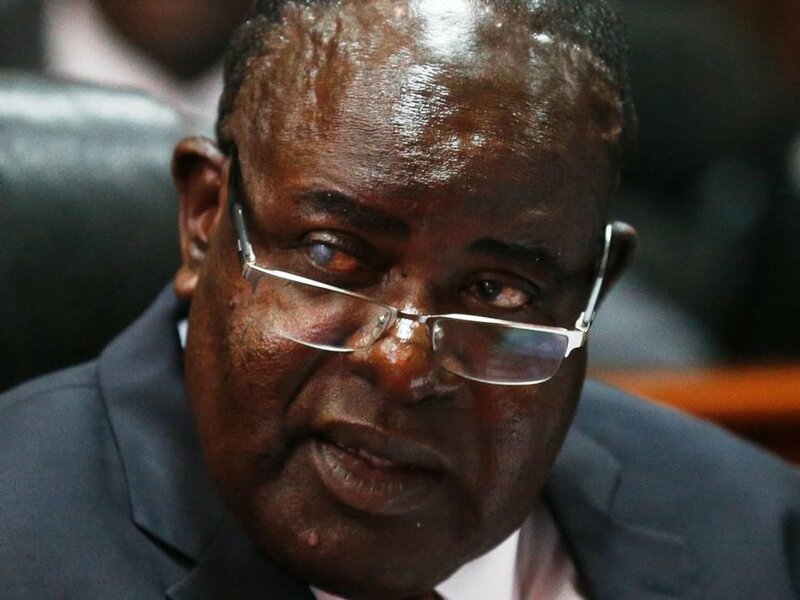 According to impeccable sources, the criminals who broke into the offices were hired by Homa Bay Governor, Cyprian Awiti, who is on the Ethics and Anti Corruption Commission (EACC) radar over the loss of Sh 5 billion. This is not the first time that the second term Governor has evaded arrest over mass looting of public funds. Last year, Awiti paid arsonists to burn County offices where Finance and Procurement Departments were situated. The fire incident raised a lot of questions because it occurred 3 days after sleuths from EACC visited the offices and left with documents and computers. Awiti who is ailing is said to have looted billions from the County and residents are begging the Director of Public Prosecutions (DPP), Nordin Haji, to visit his offices and arrest all the officers including the rogue Governor. A number of Homa Bay county officers have already been arrested in connection with the looting.